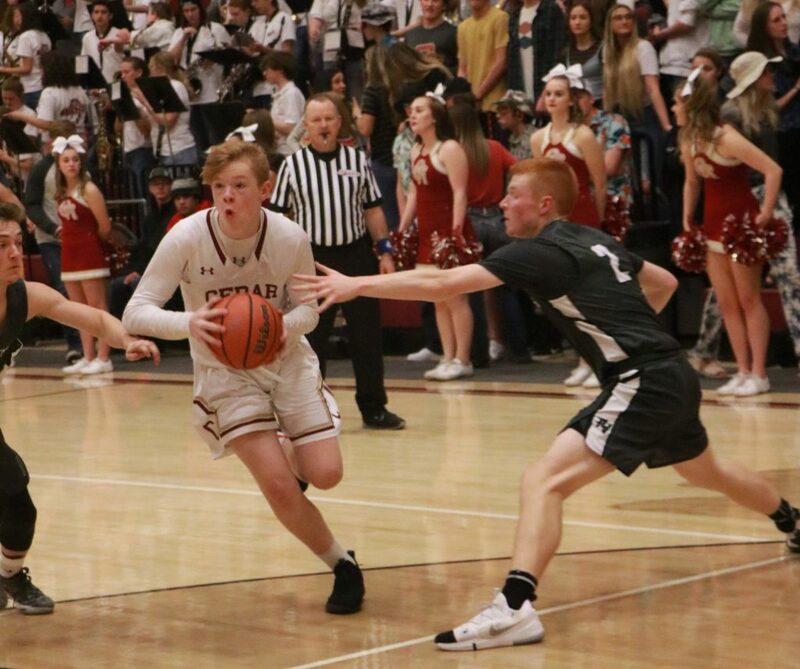 ST. GEORGE — The Pine View Panthers stayed unbeaten in region play with a 58-39 victory over the Redmen in Cedar City. The Panthers jumped out to a 13-5 lead in the first period, then extended the margin to 29-16 by halftime. Taiven Shepherd drained a 3-pointer at the buzzer to give the Panthers the 13-point cushion at the break. 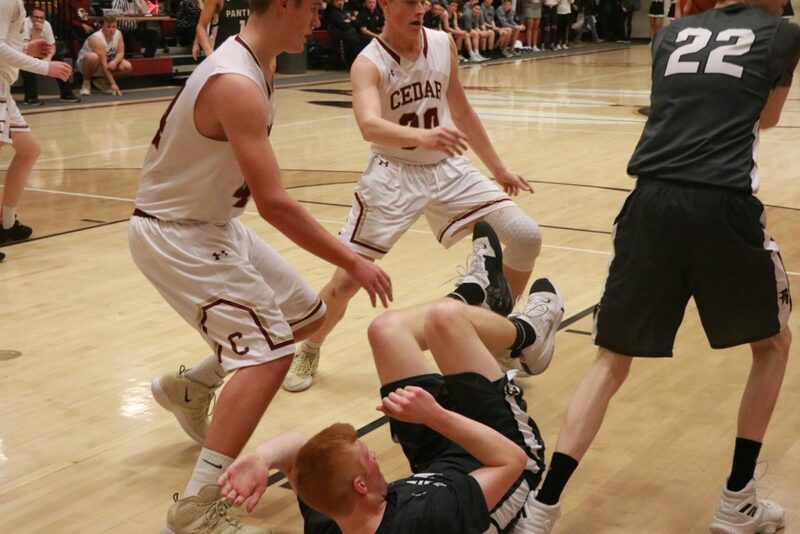 Treyton Tebbs scored Cedar’s first seven points of the third quarter, but the Redmen were unable to gain any ground on Pine View. 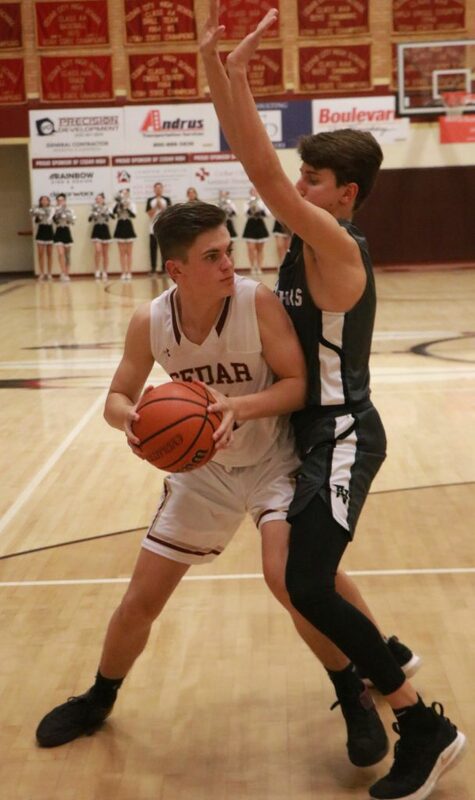 The Panthers put the game out of reach early in the fourth quarter, thanks in part to a 10-point outburst by Gavin Bateman, who made three 3-pointers during that span. 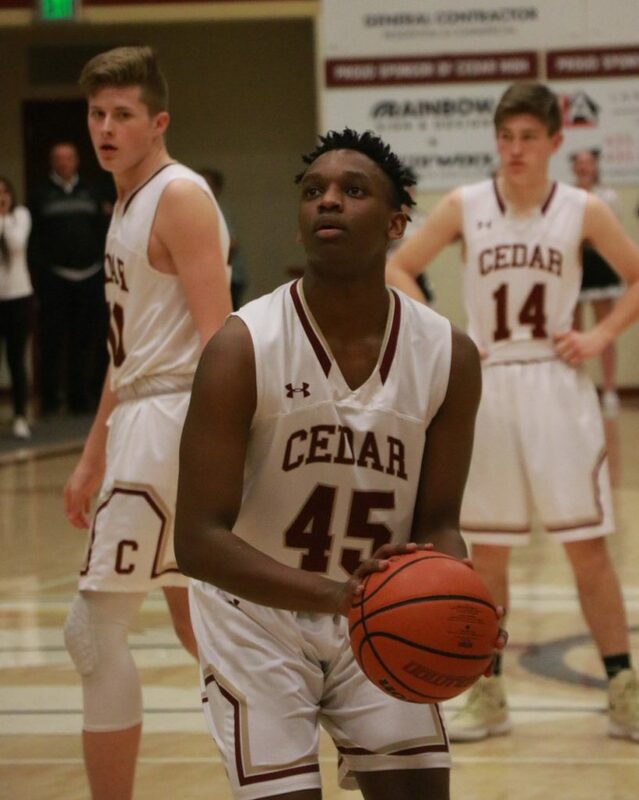 Cedar played the game shorthanded, as they were without at least three usual starters, including sophomore center Dallin Grant, who is sidelined again with an injury. Nevertheless, Pine View coach Ryan Eves said he was impressed with how hard Cedar played. 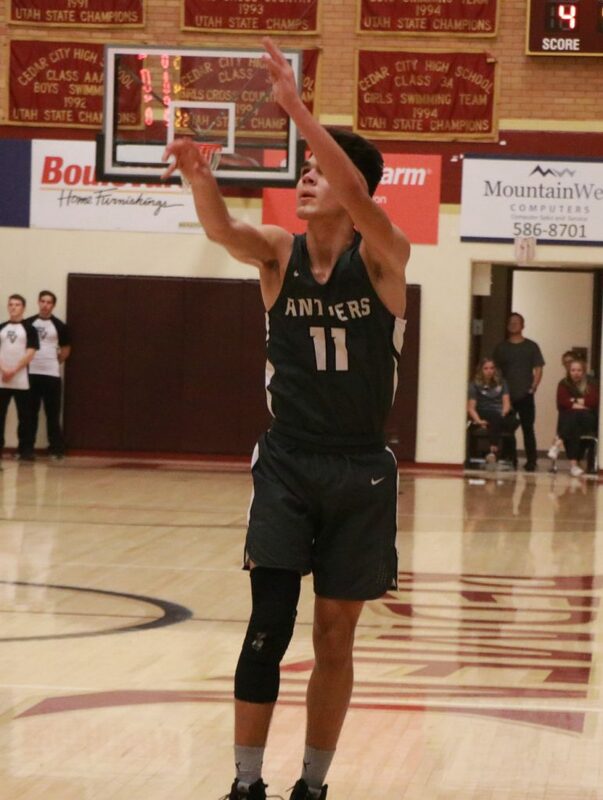 Fortunately for Pine View, their outside shots were falling; the Panthers converted 11 3-pointers, with five different players each making at least one. Jared Sudweeks and Michael Moore each scored 13 points for Pine View, while Bateman chipped in 10 and Shepherd added 9. 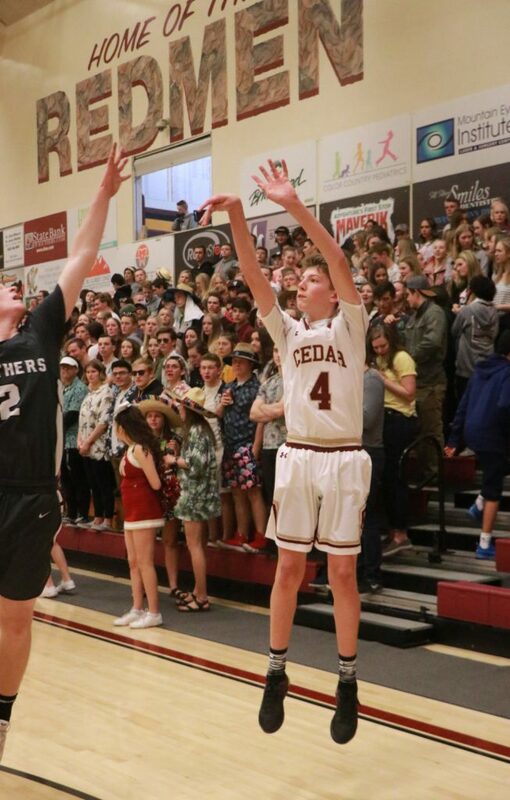 For the Redmen, Tebbs led the way with 21 points, but he was the only Cedar player in double figures. 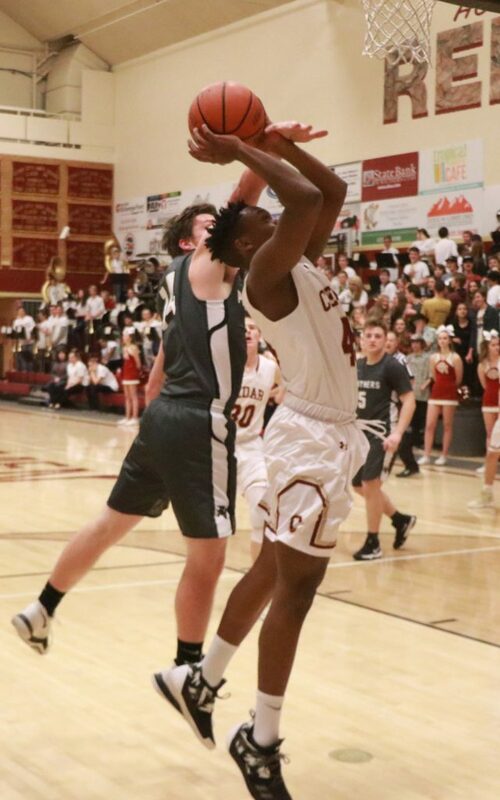 Pine View, which improved to 8-0 in Region 9 play with the victory, plays at home against Dixie on Wednesday at 7 p.m. Cedar, which fell to 2-7 in region, plays at in-town rival Canyon View that same evening. In a major upset, one-win Snow Canyon knocked off six-win Dixie, dropping the second-place Flyers two games behind undefeated Pine View. The Warriors took just a two-point lead after one, but blew the game open in the second quarter, outscoring Dixie 21-5 to take a commanding 18-point lead into halftime. Dixie narrowed the deficit to 12 entering the fourth but couldn’t get enough defensive stops to close the gap, securing a win for the Warriors. Snow Canyon, which improved to 2-7 in region play, was led by Cole Warner’s 26 points. Joey Robertson added 13. Dixie dropped to 6-2 in region play. Nic Roundy led the Flyers with 14 points and Jordan Mathews added 13. The Warriors will travel to Hurricane on Wednesday to take on the Tigers at 7 p.m. The Flyers will have the opportunity to gain back the ground the lost Friday when they head over to Pine View Wednesday at 7 p.m. In a back-and-forth battle, the Canyon View Falcons defeated the Desert Hills Thunder and moved into the final playoff spot. Desert Hills took the lead after one quarter but the lead didn’t last long, with Canyon View exploding on offense and locking down on defense in the second period, outscoring the Thunder 17-5 to take an eight-point lead into the half. Desert Hills cut the lead to two entering the fourth quarter, but the Falcons closed the game out down the stretch to hold on for the win. Canyon View improved to 4-5 in region play and now holds a one-game lead over the Thunder for the final playoff spot in the region. Parker Holmes led the way for the Falcons with a game-high 15 points. Desert Hills, which dropped to 3-6 in region play, was led by Reggie Newby’s 9 points. The Thunder will now face Snow Canyon on Friday at 7 p.m.
Canyon View will look to tighten their grip on a playoff spot when it hosts Cedar on Wednesday at 7 p.m. The Thunder’s next game is Friday, Feb. 8, at Snow Canyon.